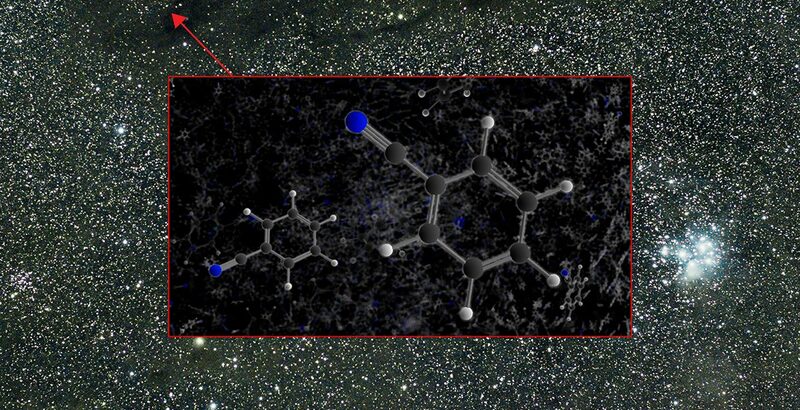 The science team, led by chemist Brett McGuire from the National Radio Astronomy Observatory (NRAO) in Charlottesville, Virginia and the Harvard-Smithsonian Center for Astrophysics (CfA) in Cambridge, Massachusetts, detected this molecule’s telltale radio signature coming from a nearby star-forming nebula known as the Taurus Molecular Cloud 1 (TCM-1), which is about 430 light-years from Earth. While aromatic rings are commonplace in molecules seen here on Earth (they are found in everything from food to medicine), but one of this type had not previously been this is the first such ring molecule ever observed in space with radio telescopes. Its unique structure enabled the scientists to tease out its distinctive radio signature, which is the “gold standard” when confirming the presence of molecules in space. 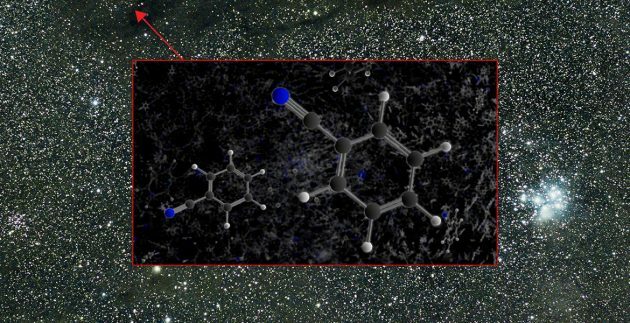 Benzonitrile’s lopsided chemical arrangement produces strong signals as the molecule rotates, but the pattern of these signals needed to be measured very precisely here on Earth first, so that the team could match the pattern with radio observations. McGuire worked in the laboratory of Michael McCarthy at the CfA to determine the spectra fingerprint unique to benzonitrile, which then allowed the team to identify nine distinct spikes in the radio spectrum that correspond to the molecule. They also could observe the additional effects of nitrogen atom nuclei on the radio signature. “This discovery is another beautifully illustrates the importance and power of closely coordinating radio observations with precise measurements in the laboratory; by doing so scientists can greatly increase the speed and confidence with which we can understand the exquisite chemical richness of space,” added McCarthy.